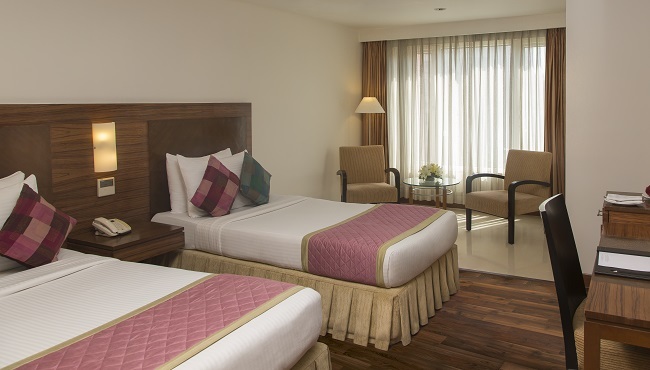 The Country Inn & Suites, Ahmedabad invites you to relax and recharge in one of 68 spacious accommodations that feature contemporary design and modern amenities such as free high-speed Internet access and satellite TV. After a restful night’s sleep, start your morning by brewing a fresh cup of coffee, and then catch up on email at the workstation before heading out for the day. Whether your schedule is packed with business meetings or sightseeing, you can enjoy a quiet meal in the comfort of your room any time of day thanks to our convenient room service. Modern lighting and warm wooden accents highlight our spacious Standard Rooms, which include amenities like free Internet, a workstation and an in-room coffeemaker. 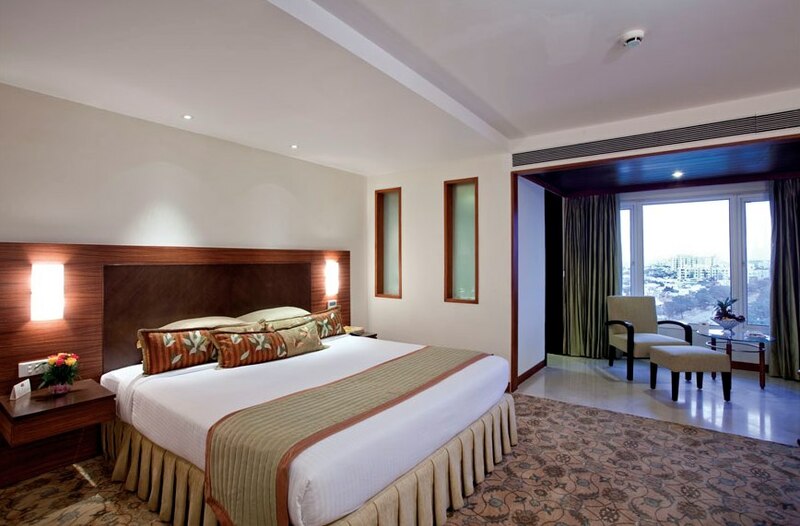 Enjoy elevated views from the seventh floor and above when you reserve one of our Superior Rooms. Guests receive a welcome drink and cookies upon arrival as well as a complimentary airport transfer. 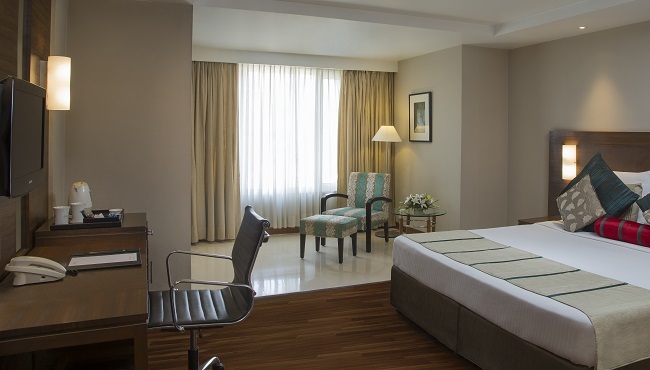 Each Deluxe Room at the Country Inn & Suites, Ahmedabad features an expanded floor plan, which makes it ideal for business travellers who want to spread out and relax.